Fannypack and I shared the German Pancake. 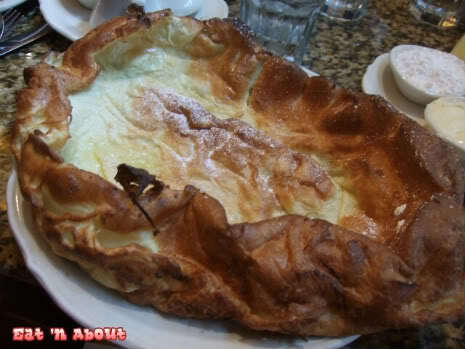 It tasted exactly like the Dutch Baby (which this place also has, as a smaller version of the German Pancake). but fluffier and better. It smelt SO GOOD when it arrived. Fannypack and I really really enjoyed this. 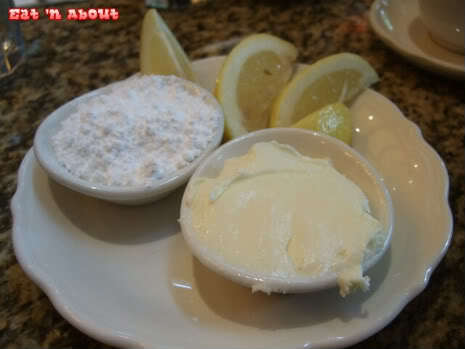 Same as at The Original Pancake House, this was served with butter and icing sugar. And that wasn’t it! 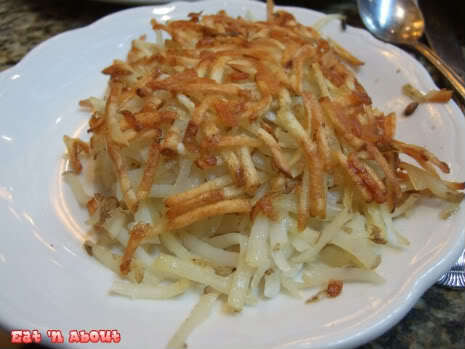 It also came with your choice of side of bacon or house-hash. Fannypack picked the hash. It was just ok though. 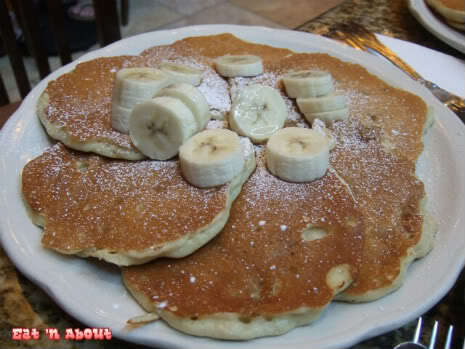 Honestly, after eating the Pancake, we couldn’t even eat this. M ordered the Thin Swedish Cakes. They were quite interesting. 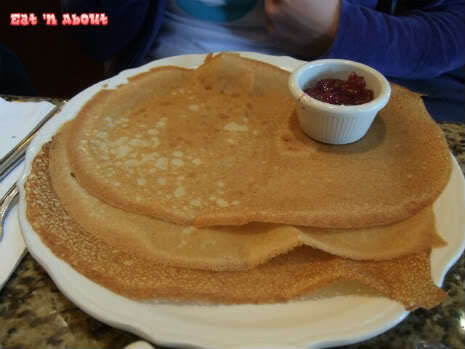 They’re almost like DeDutch’s pancakes but even thinner. It tasted like the layers in our German Pancake. 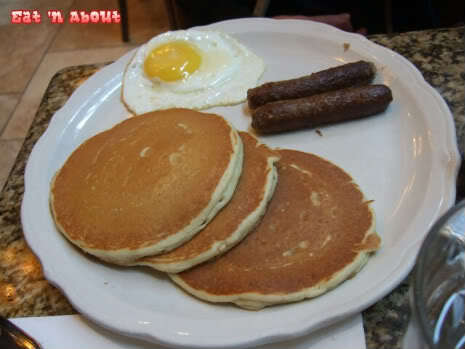 Lastly this was W’s choice…it was probably the most uninspired breakfast at Pancake House. What can I say about this? Nothing. 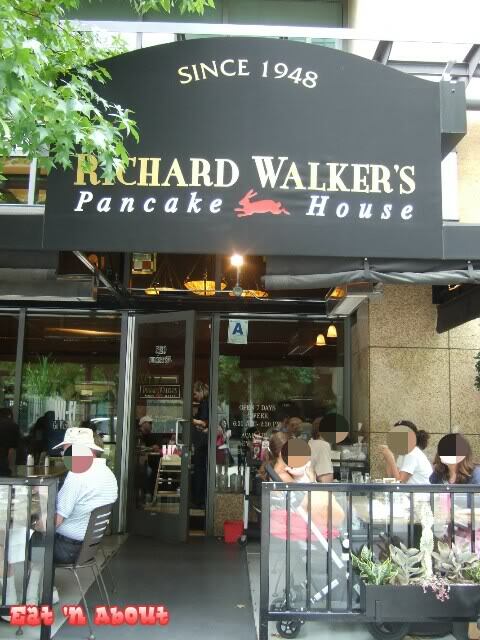 I still liked this place though. By the time we got out the lineup was so long. After visiting Seaport Village (around 2 hours later) the lineup was still long. We were lucky to get a seat so quickly.